With a stay at Hotel Campanile Luxembourg - Airport in Senningerberg, you'll be within a 15-minute drive of Casemates du Bock and Golf Club Grand Ducal of Luxembourg. This hotel is 2.3 mi (3.7 km) from Castle Munsbach and 2.4 mi (3.9 km) from Syrdall Schwemm. 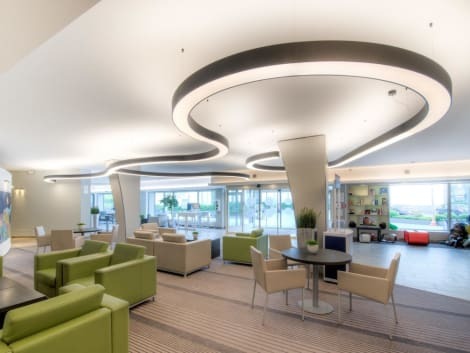 At ibis budget Luxembourg Aéroport, enjoy a satisfying meal at the restaurant. Wrap up your day with a drink at the bar/lounge. 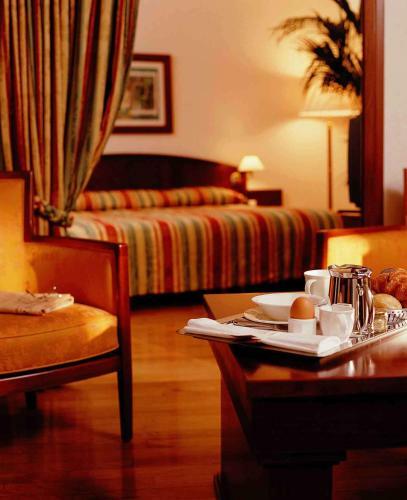 Continental breakfasts are available daily from 6:00 AM to 10:00 AM for a fee. With a stay at Novotel Luxembourg Kirchberg in Luxembourg City (Kirchberg), you'll be within a 10-minute drive of Casemates du Bock and European Parliament Luxembourg. This family-friendly vacation home is 0.4 mi (0.6 km) from Philharmonie Luxembourg and 0.4 mi (0.7 km) from D'Coque National Sport Centre. Make yourself at home in one of the 150 air-conditioned rooms featuring minibars and LCD televisions. Complimentary wireless Internet access keeps you connected, and satellite programming is available for your entertainment. Bathrooms have bathtubs or showers and hair dryers. Conveniences include phones, as well as safes and desks. Featured amenities include a computer station, express check-out, and complimentary newspapers in the lobby. This hotel has 14 meeting rooms available for events. A shuttle from the airport to the hotel is provided for a surcharge (available 24 hours), and free self parking is available onsite. 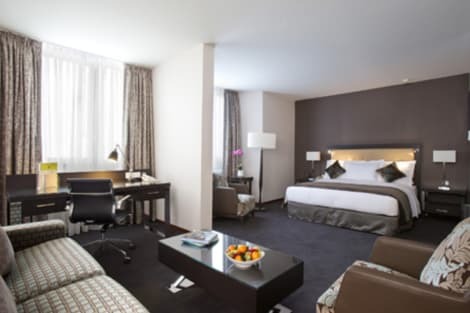 The designer 4-star superior hotel, Meliá Luxembourg is ideally placed for visitors on business or leisure trips, located in Place de l’Europe, a 15-minute walk from the old town. Start your day at the extensive breakfast buffet, while enjoying panoramic views of the MUDAM museum. Guests can dine on Mediterranean flavours in the Aqua Restaurant, enjoy a drink on the terrace, unwind in the sauna or work out in the gym. 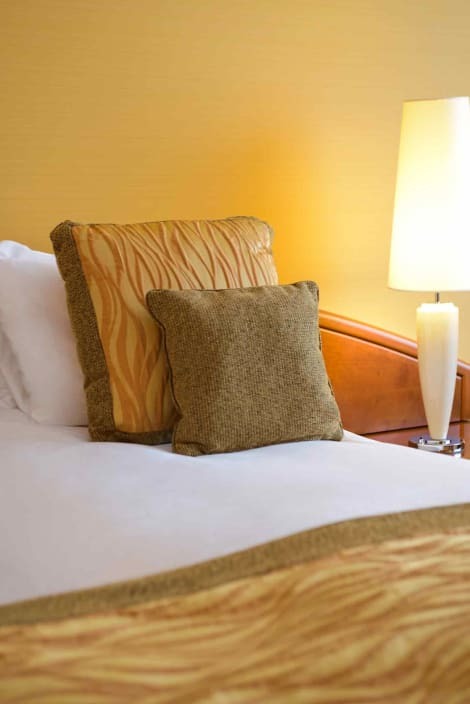 Each comfortable room affords views of the city, contemporary décor and state-of-the-art amenities. lastminute.com has a fantastic range of hotels in Luxembourg, with everything from cheap hotels to luxurious five star accommodation available. 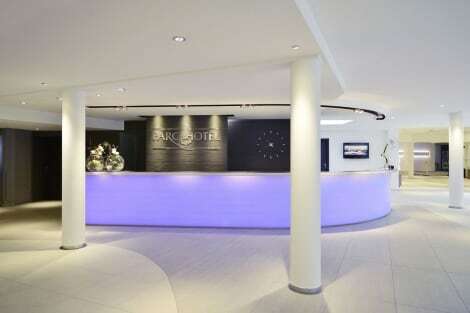 We like to live up to our last minute name so remember you can book any one of our excellent Luxembourg hotels up until midnight and stay the same night.